While following your passion may already be a cliché in pursuing a business, this still holds true to most successful entrepreneurs especially for those businesses built out of their hobbies and interests. 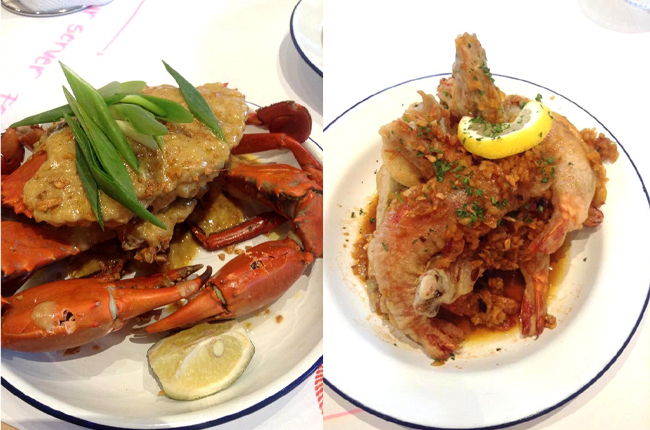 Included in those passion-driven entrepreneurs is Peter Tajon, owner of Holy Crab!. Tajon (who's just in his late 20's), before venturing into the business industry, just knew he loves surfing, cooking, and eating seafood. Aside from that, there's nothing he can enjoy the most just as much as he does those. Time came when he thought of putting up a business that's based on what he loves doing. 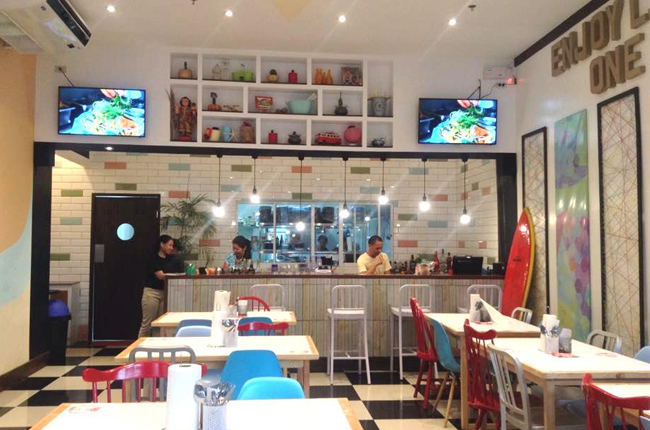 "I told myself, why not put up a restaurant that specializes with seafoods, which can also offer a cozy, beach feel?" he shares. With that, Holy Crab! came to existence. But just like many other startups, the road wasn't smooth in the beginning. Since he doesn't have a business background, Tajon sought help from his family, friends, and other business professionals to help him execute his business idea. "It was very difficult to come up with the menu, the design, and the totality of things because I really wanted to give only the best for the people," he says. He also added that he specifically wanted it to be a family-friendly restaurant where people can interact with each other; that's why he was very particular with every detail of the business. Just like many other businesses, Tajon also experienced a lot of problems when they were just starting. From conflicts with business partners and suppliers to arguments with the design and overall operations, he can totally say it was very hard to deal with those. However, giving up was not an option for him. "Whenever problems arise, I always think that I'm almost there. I should believe with my passion. I'm not going to let go of this because I'm already seeing the future of this business," he confidently shares. True enough, ever since they started operating in 2014, the market reception has been very overwhelming. 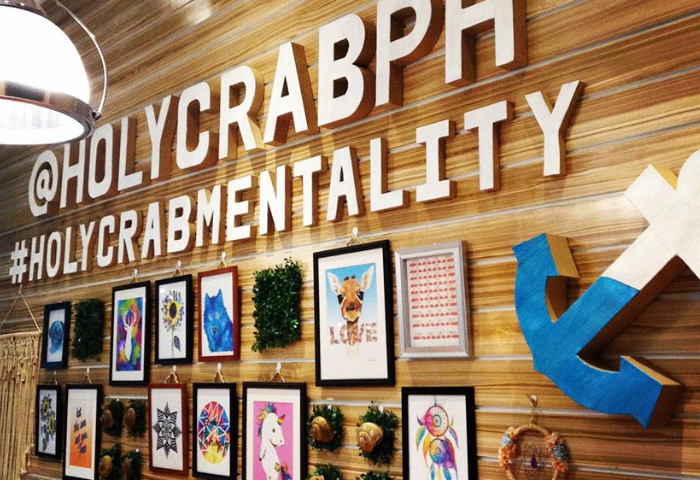 The volume of customers started to grow and before they knew it, words about Holy Crab! has spread. They even started to get franchise inquiries during their first quarter of operations. "It was really unexpected and overwhelming at the same time. But it's too early at that time. I told my team, let's focus on this first. Let's keep things smooth first and master everything before we venture onto another level," he explained. 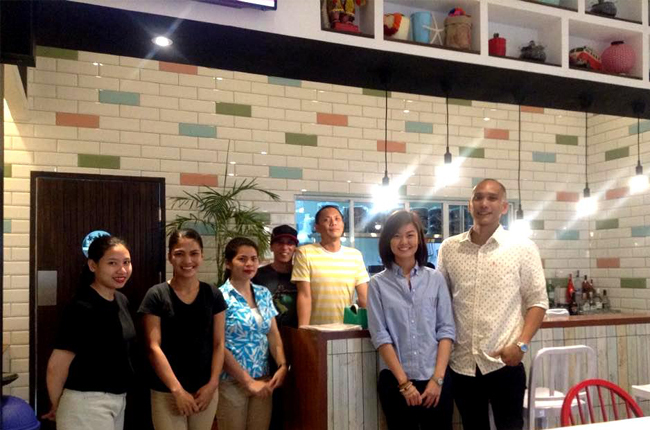 Before turning one year old, Tajon opened his second branch in Mall of Asia. That's when he also decided to push through with franchising Holy Crab! Since they are new to franchising, Tajon wants to take it one sure step at a time. "We aren't eyeing to grow in numbers right away. I just want the best franchisees to take care of the brand just like how we are doing," he shares. They have carefully plotted the franchise package inclusions to give only the best offer for their aspiring franchisees. Some of the package inclusions are the overall construction, supplies, trainings for the head cooks and expenses of up to three months. Tajon would shoulder the first three months worth of operation of the business to guide the franchisee. This is a bold move on his part but he'll do it to preserve the brand well. As for the franchisees, Tajon is looking for hardworking, hands on, passion-driven, and focused people who can run the business very well and who would be willing to learn continuously. "We want to sell the experience we are doing here. We treat everyone as family, from employees to customers. Same with our future franchisees, we're business partners here," he explained. Holy Crab! is located at 252 Aguirre Avenue BF Homes, Paranaque City and at the Entertainment Mall of SM Mall of Asia.